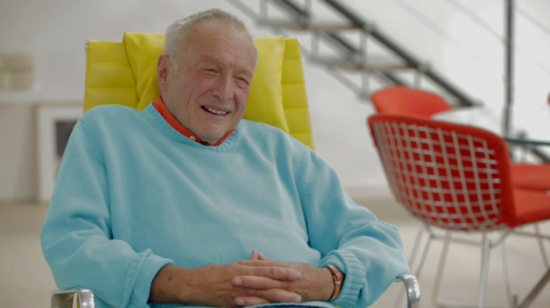 In a short film from Nowness, director Matthew Donaldson pulls us through Italian-born British architect Richard Rogers’ front door to explore his converted Georgian terrace in Chelsea, London, which he shares with his wife and restauranteur, Ruth Rogers, of the legendary River Café. 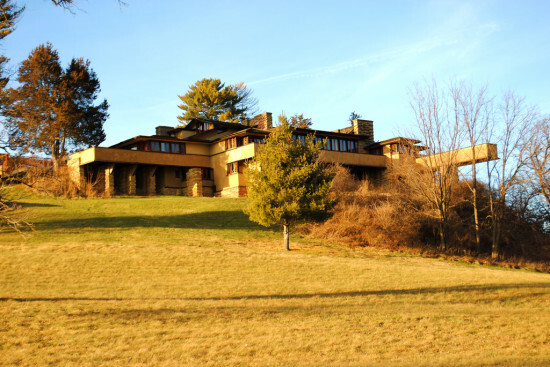 With a stunning brick facade and symmetrical multi-pane windows, the vast and bold interior spaces are rarely seen, though could only befit Mr. Rogers himself, who is renowned for his modernist and functionalist designs. Bursting with works by Andy Warhol, Philip Guston and Cy Twombly, the townhouse’s main living area, which the Rogers refer to as a piazza, features a dramatic staircase and an extensive mezzanine library. 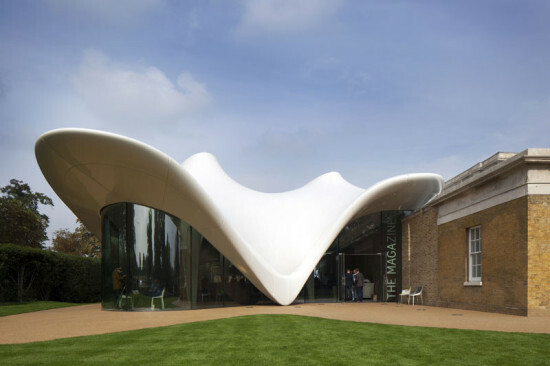 The Guardian got up close and personal with Zaha Hadid in a recent, no-holds-barred interview where the Pritzker prize-winning architect gave her two cents on London’s “conservative” architecture climate and railed against rectangular buildings, revealing a nugget of wisdom that perhaps has eluded most designers: “The world is not a rectangle.” Beyond her dislike for conventional corner-oriented design, she also told the reporter that, at her firm, “we don’t make nice little buildings.” While quadrilaterals and “nice” architecture are out of the question, apparently designing in Syria isn’t. That is, unless it is an un-luxurious prison. 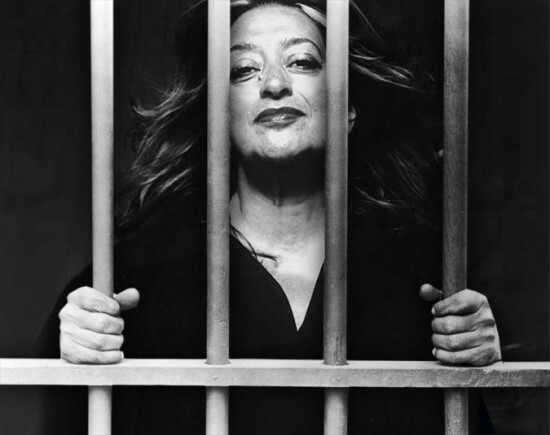 “Well, I wouldn’t mind building in Syria,” Hadid told the paper. “I’m an Arab and if it helps people, if it’s an opera house or a parliament building, something for the masses, I would do it. But if someone asks me to build a prison, I wouldn’t do it. I wouldn’t build a prison, irrespective of where it is, even if it was very luxurious.” What population living in a war-ravaged country doesn’t need a first-rate opera house? International architecture firm Kohn Pedersen Fox (KPF) has several projects underway, such as One Hudson Yards and a new master plan for New York City's Port Authority. Most recently, in a reinvention of spaces, KPF has submitted plans to build 11 floors on top of Richard Seifert’s 1972 30-story King’s Reach Tower, which has been renamed South Bank Tower. Located on London’s South Bank, the tower will be transformed into a mixed-use building consisting of 191 high-rise luxury apartments. KPF and collaborating engineering firm Adams Kara Taylor (AKT II) have applied to Southwark Council to raise the tower an additional 144 feet. The offices no longer meet modern day requirements and have remained vacant for about six years. 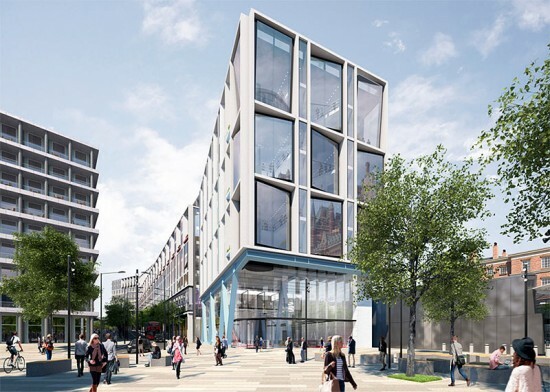 An extensive overhaul proposal to transform the building into a mixed-use space – including creation of retail space, pool and gym on the ground floor, and various extensions – was approved in October 2011, so the firm already has authorization to add six floors. In seeking approval for five additional floors, KPF wants to take the 364-foot structure to 508 feet, which will extend the tower by more than a third of its original height and will offer space for 36 additional residential units. The extended tower would become part of a new group of tall buildings on the southern bank of the River Thames, which includes the recently completed Shard by Renzo Piano and the impending One Blackfriars by Ian Simpson Architects. 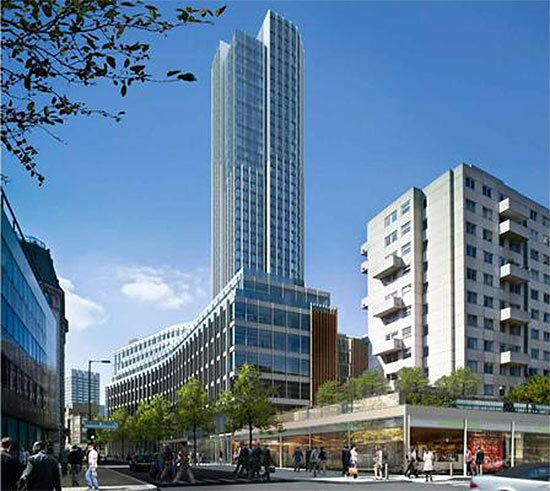 Extending South Bank Tower by a third is a world first, according to an AKT II project engineer. 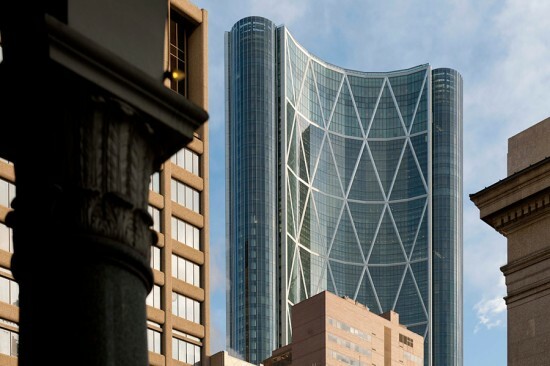 KPF has become a frontrunner in skyscraper development, but despite the fact that the tower is a different approach than the firm’s customary sky-high towers, sustainability remains a focal point of the plans. From the mid-17th to the mid-19th century, crowds of Londoners sought entertainment at the Vauxhall Pleasure Gardens, located on the south bank of the River Thames. The acres of greenery that made up the garden were once the site of numerous whimsical attractions, including tight-rope walkers, concerts, fireworks, and narrow winding walkways perfect for amorous adventures. Today the neighborhood of Vauxhall, located in the heart of Nine Elms, is mostly known for the railway arches that slice across the neighborhood, disconnecting it from the riverside and labeling it as the “missing link” between the New US Embassy Quarter and London’s South Bank. In an effort to revive and reconnect the historic neighborhood The Royal Institute for British Architects (RIBA) and Vauxhall One, an organization dedicated to making Vauxhall a safer, cleaner, and better place for business, created the Vauxhall Missing Link Competition. They invited registered architects, landscape designers, and urban designers to submit their ideas for “an outstanding new addition to the urban environment.” The new plans for Vauxhall, which aim to seamlessly merge a vibrant green environment within an urban setting, unmistakably mimic those of the New York City High Line. According to the competition brief, the intention behind the new scheme is to “Reconnect the disjointed parts of the neighborhood, to build a better visual perception of Vauxhall beyond its roundabouts and roads and to create an identifiable pathway and narrative through the area, linking the railway arches, green spaces and public art into a distinctive place once again.” Erect Architecture and J&L Gibbons won the international competition with their imaginative design titled “The Promenade of Curiosities.” Chris Law, Public Realm and Development Director for Vauxhall One, said in a statement, “Erect/ J&L Gibbons entry was really special. It has so many quirky and innovative features. We really want to make a difference by regenerating Vauxhall through green and sustainable measures and their entry was outstanding.” Inspired by the historic Vauxhall Pleasure Gardens and the New York City High Line, the firm designed a contemporary promenade that will feature a series of permanent and temporary art installations. It incorporates lush rain gardens, which will be equipped with sustainable drainage systems and will feature green pathways lined with curiously pruned trees and paved with different textures, creating a fanciful setting reminiscent of the historic gardens. The new project is part of a larger masterplan that involves the transformation of the Vauxhall Nine Elms Battersea Area (VNEB). The first phase of development, the Regeneration of the Rail Arches, is already underway. Vauxhall One commissioned a different architect to work on each individual arch so that the end result will be a series of distinct, uniquely designed arches that will no longer barrier the neighborhood from the riverfront, but hopefully create a safe and vivid walkway and bicycle path that will link visitors to it. Heatherwick Studio has envisioned a refreshing way for Londoners to safely commute from the North to the South side of the city that doesn’t involve the hassle of waiting for a bus, squeezing onto the overcrowded "Tube," or sitting in mind-numbing traffic. 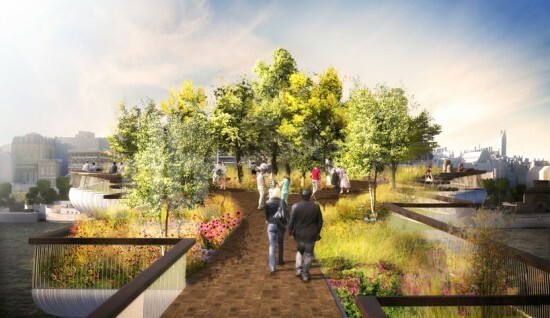 The firm, which has been working closely with actress and campaigner Joanna Lumley to develop the design, proposed a pedestrian garden bridge that will extend across the River Thames, providing Londoners with a safe, green river crossing. The idea first blossomed in response to the Transport for London’s call for submissions for the design of a pedestrian link that would span the river. 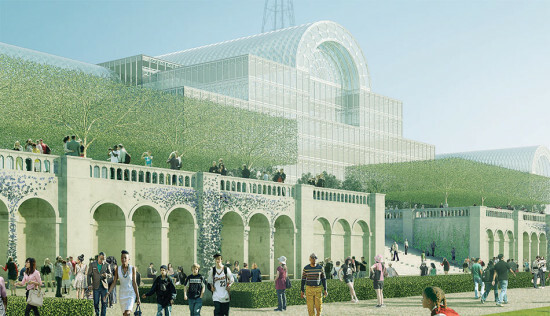 They selected Heatherwick Studio’s vibrant design, which features a lush garden walkway supported by two fluted piers that will be filled with flourishing wild flowers and thrive with abundant plant life. 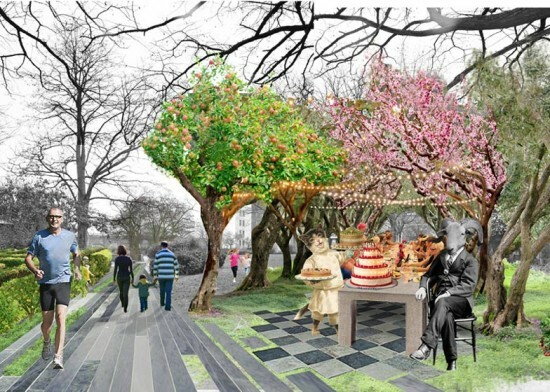 According to Design Boom, Lumley enthusiastically commented on the new plans for the walkway by saying, “This garden will be sensational in every way: a place with no noise or traffic where the only sounds will be birdsong and bees buzzing and the wind in the trees, and below the steady rush of water. It will be the slowest way to cross the river, as people will dawdle and lean on parapets and stare at the great cityscapes all around; but it will also be a safe and swift way for the weary commuter to make his way back over the Thames.” This lively new pedestrian river crossing, which is estimated to cost about $95 million, is to be built between the already-existing Blackfriars and Waterloo bridges, and would be the first bridge to be built over the River Thames since the Millenium Bridge in 2000. With green space covering almost 40 percent of the city, London is one of the greenest cities in the world. This new garden walkway will provide London with yet another, always welcome, peaceful green public space that is sure to attract visitors and locals looking to breathe in some fresh air and appreciate the pleasant riverside views. The London 2012 Games may have ended over 10 months ago, but even without the 17,000 athletes that lived on the premises, the Olympic Village is still brimming with commotion. Construction has begun onsite to refurbish the still-nearly-new structures into a residential housing system, Get Living London, in a new neighborhood called East Village. The site's new owners, the sovereign wealth fund Qatari Diar and British property developer Delancey paid $870 million for the Village and development land close by, according to The National. Since the global financial recession in 2007 and exacerbated by a housing shortage, London residents have been struggling to adequately affordable and quality housing. Get Living London presents renting as a suitable option instead of buying a home. 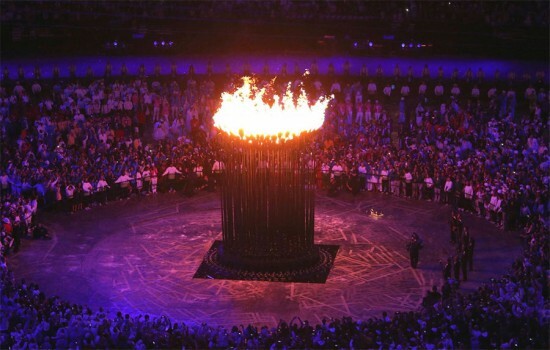 The Olympic Delivery Authority is eliminating temporary structures to supply shared dining facilities. As part of the refurbished East Village housing complex, 2,818 new kitchens will be installed and the site will include an education campus, a health center, and restaurants. Local housing association, Triathlon Homes, will offer 1,379 apartments to house low-income Londoners, and the remaining flats will be rented out on the open market.